As a socially conscious organization, TANTEX conducts a variety of programs that are not just restricted to the Telugu speaking community in the DFW area. These include distribution of school supplies for under privileged children, community outreach programs, social service and voluntary activities. TANTEX also hosts highly entertaining and informative Radio Program every Sunday. Listen to GanaSudha every Saturday from 12:00 Noon to 2:00 PM on RadioKhushi.com. 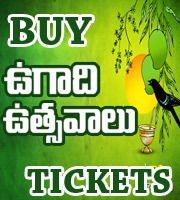 In addition to playing your favorite Telugu songs, these programs include celebrity interviews, valuable medical, legal, financial information and provide information on all upcoming events. Tantex also organizes a free Clinic session every year to provide access to quality healthcare services to low-income and uninsured residents. The objective of the clinic is to build a healthier community by promoting and providing easy access to healthcare services to all low income DFW residents. Please do join to contribute and support this noble cause..
TANTEX organizes several events during all major Telugu festivals such as SANKRANTHI, UGADI and DEEPAVALI. TANTEX also organizes annual events such as "Carnival",a family picnic and competitions for kids as well as adults during summers. Please visit Membership - benefits section for additional details. Currently if you are not a TANTEX member then Please visit the Membership section to become a member. Additionally TANTEX also organizes and supports several other interesting events such as Music concerts, Nela Nela Telugu Vennela (Sahithya Vedika), Vanita Vedika (Womens forum), Maitri (Club for Visiting Parents and Senior Citizens), Volleyball tournament, Golf Tournament, Cricket Tournament etc. Please visit the upcoming events section for latest information.